Wisdom of Life. : Don't buy life insurance by comparing. I was introduced to a young prospect who had the intention to purchase life insurance for his child. Upon meeting this gentleman, he was very direct to tell me that he wanted to compare all the various insurance products from some of the companies before making his final decision. This was what i advised him. 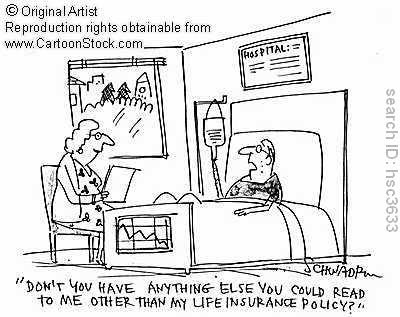 Buy life insurance according to your personal needs. Is a disadvantage to let agents know that you are comparing with other plans from another companies. Comparing means to compete with the competitors. In order to secure a sale from comparing, most agents would work out plans that need to compete to maximise their chances. The end result, the plans might not serve the clients but rather to serve the agents more. I believe all plans work the same. High protection might gain lower return in investment. Or lower protection offers higher returns. There is no free ride, when you pay the minimum and expect high protection and high returns. The most ideal method to secure a good life insurance plan, is to identify a committed, sincere, knowledgeable agent who has the love over his job. Be frank with what you want and need, the professional agent could easily work out the most suitable program according to your budget and requirement. Finally i told this young prospect, i only sell and advise clients who are sincere to seek my personal advices and not here to compare my products with my friendly competitors in town. I think he still likes to compare and the choices are still his. Sometimes one has to learn the mistakes in life to understand. As far as i am concerned, i have to stick to my ethic and principle in proper selling. My powerful quote - "Wives may not believe in life insurance, but widows always do." Please use it. It works for me. The purpose of sharing is to see others succeed in life. I hope you sell more.